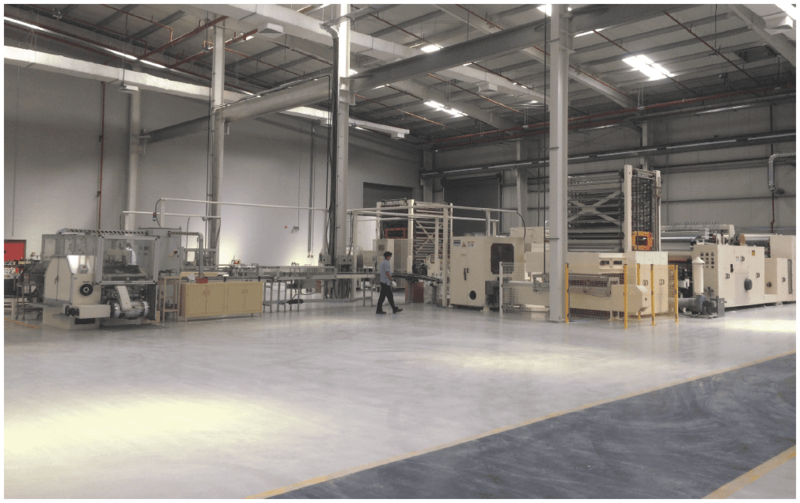 Fine Hygienic Holding (FHH) plans to double capacity at its integrated Al Nakheel site in the next two years. Director of operations Adel Al Far explains the strategy. Report: Helen Morris, TWM Senior Editor. One of the most striking aspects on arriving at Fine Hygienic Holding’s (FHH) Al Nakheel site is its obvious potential for expansion. 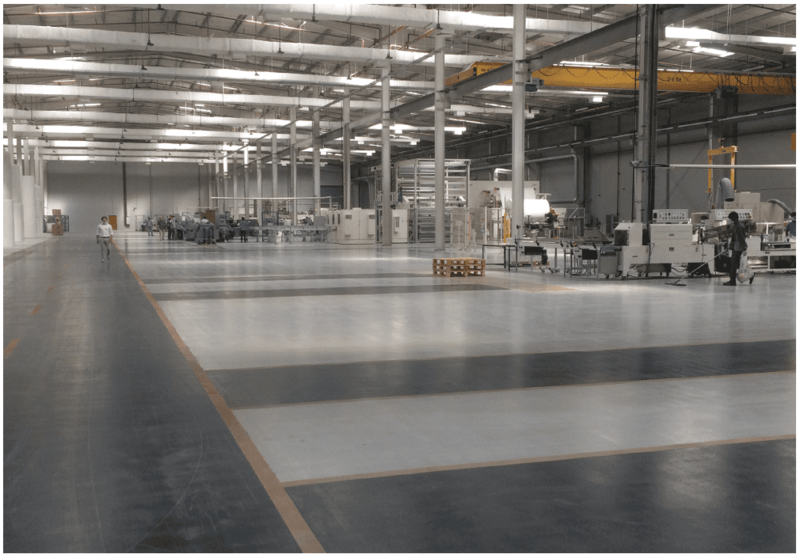 Located around 40 minutes outside of Abu Dhabi, the 145,000sq metre integrated space currently houses one TM that produces 55,000tpy, as well as converting lines that manage 30,000tpy, producing products mainly for the At-Home and AfH markets. Adel Al Far, FHH director of operations, UAE, greets TWM warmly from his on-site office. Originally from Jordan, he has lived in the UAE since the start of the Al Nakheel project. FHH – of which the Jordan headquartered, and MENA-region tissue leader Nuqul family owns the majority shares – now operates five tissue paper mills across Jordan, Egypt and now Al Nakheel, with a total capacity of 210,000tpy. It also has five converting sites in Jordan, Egypt, Saudi Arabia, UAE and Morocco, with a total capacity of 150,000tpy. In the UAE, it is the number one player in most tissue categories, including facial tissue, toilet tissue and AfH, while it is the second player in the kitchen towel sector. Al Far says the company will continue to target and invest in these sectors. The start-up of the new Valmet-supplied machine is a step in that direction. It has a width of 5.6m, a design speed of 2,200m/min, and is converting grades into high-quality facial tissue, towels, napkin and toilet paper for customers in the Middle East. It also included the brand-new building. There was also impressive potential for tissue in the UAE region: “It is unique here compared to the other gulf countries,” he says. He offers a conservative estimate of 5% annual growth for tissue in the county: “Total jumbo reels production capacity is almost 200,000 per year, almost double the demand, with two mills planned to come on stream in the first quarter of 2019, boosting the production capacity to almost 290,000 tonnes. FHH’s strategy is to continue to invest into a region where there was good access to energy: “We’re able to sustain our operations more efficiently here. The infrastructure and logistics are much better, electricity is cheaper. FHH is also keen on green and energy efficient operations and he adds that the group is the sole company that uses SteriPro sterilising technology, a unique sterilisation process that eliminates germs. The unique patented sterilisation process ensures that only the cleanest and best quality product reaches the consumers. Join the only dedicated tissue industry event that connects the East and the West! Share the post "FHH targets impressive ‘5% annual tissue growth’ potential in the UAE"